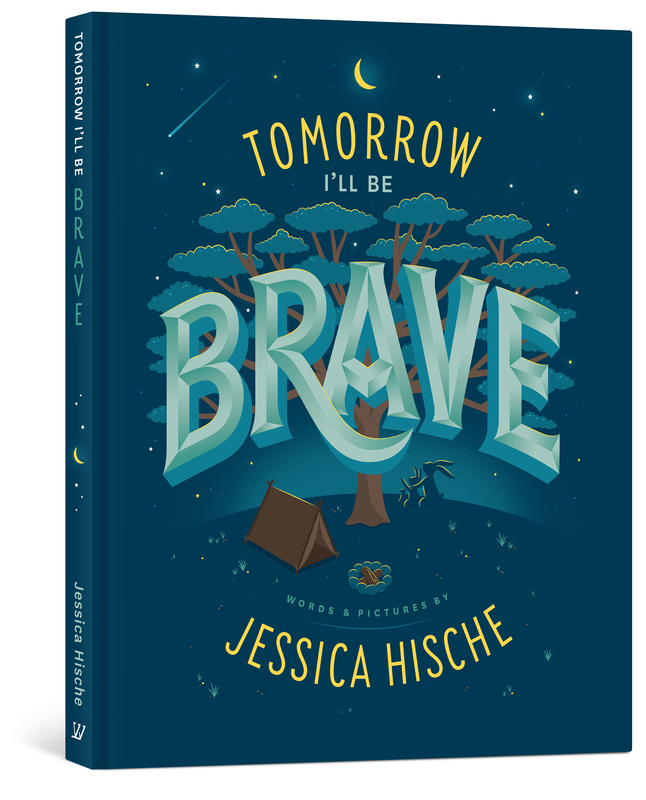 Lyrically written and beautifully illustrated by award-winning lettering artist Jessica Hische, this book takes readers on a fantastic journey that encourages them to be adventurous, strong, smart, curious, creative, confident, and brave—reassuring them that if they haven’t been able to be all or any of those things today, there is always tomorrow, which is full of endless opportunities. 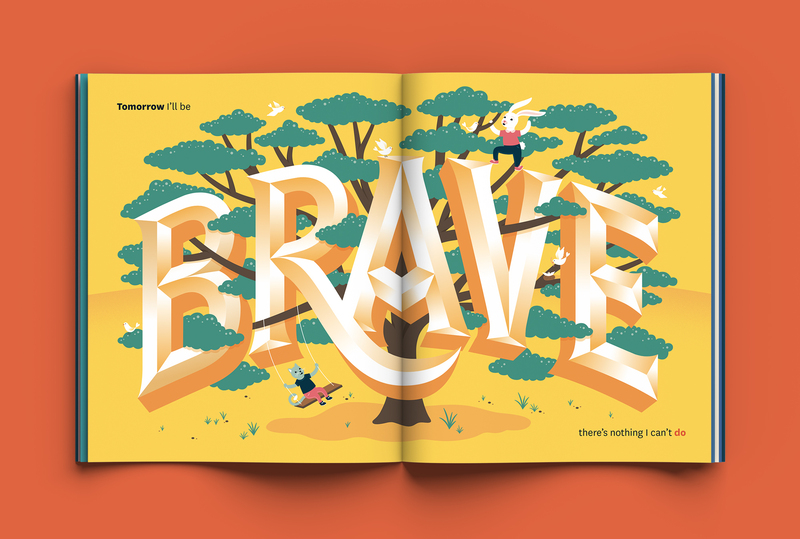 Jessica Hische, one of the great designers and typographers, now shows herself equally adept at creating gorgeous and immersive images for young readers. This is a joyous burst of color. I'm an entrepreneur today because my dad told me I could be anything I wanted when I was just eight years old. I can’t wait to read this book to my own children and buy it for every other parent I know. May it inspire the next generation! — Brit Morin, founder & CEO, Brit & Co. When my daughter was born, we started reading to her almost immediately. I was delighted when she learned how to turn the pages herself—she was 7 months old and it felt like suddenly I could see into a future when she was a child not a baby. As working parents, bedtime became a sacred time, a time when we were all hers and she was all ours. 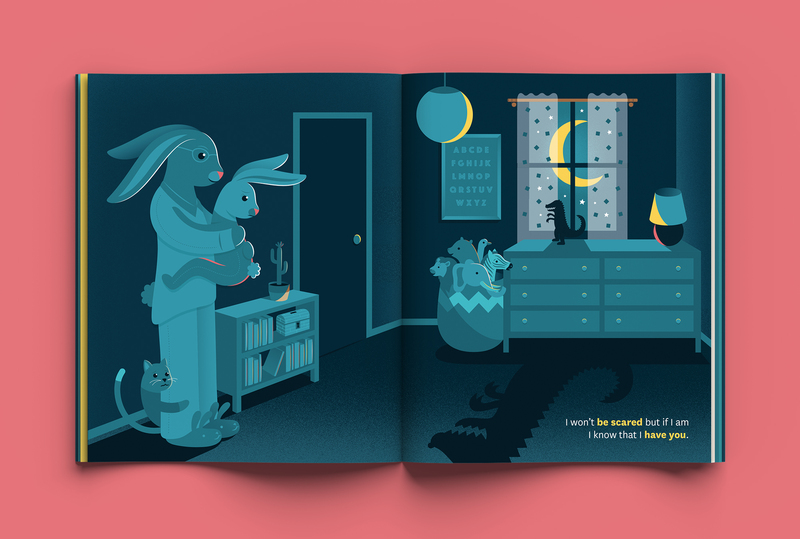 Some nights we’d read a dozen books: everything from the classics we were raised on (some were the actual physical copies we grew up with, handed down by our parents) to the new beautiful books coming out by contemporary authors and illustrators. Our library grew and I started to notice themes emerging, especially when it came to bedtime books. There was the “Goodnight Objects” genre, all clearly based on the structure and popularity of Goodnight Moon. There was the “Bedtime Routine Reinforcement” genre, in which the child is walked through the nightly routine of prepping for bed (usually by a beloved television character). And then there is the “Parent Ugly Cry” genre: beautiful poetic books about growing up and growing old that turn the parent-reader into a puddle of emotions. What I didn’t see were a lot of bedtime books about reflecting on your day and setting intentions for the next. I had the idea for this book when Ramona was a little over a year old. I wanted to write something uplifting, encouraging, and empowering—a book to help end the day excited for all the possibilities that tomorrow could bring. There are plenty of inspirational books out there for young readers, but this would be different. It wouldn't just encourage kids to be the best they can be—it would give them the opportunity to reflect on their day and even introduce the very grown-up concept of self-forgiveness. 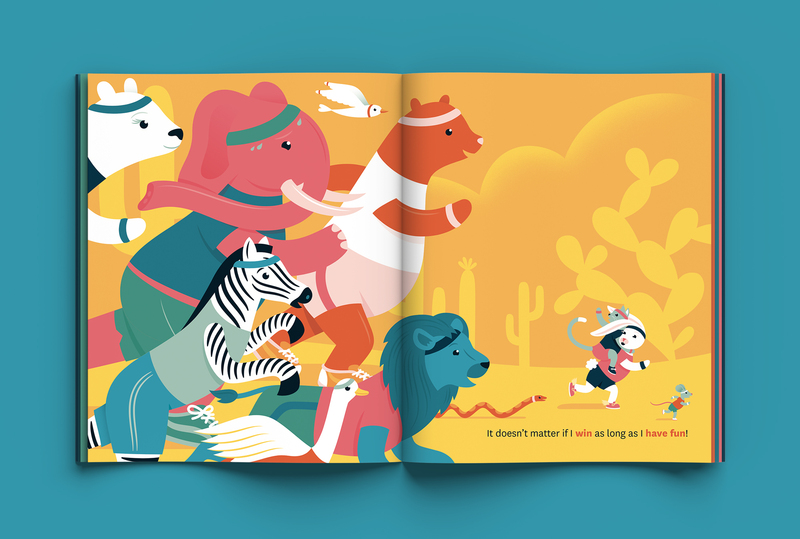 I worked on it for about a year before approaching a publisher, and in that time it matured alongside my tiny muse. I’m incredibly proud of how it turned out, and I’m so happy to be partnering with Penguin Workshop to bring it into the world. I wish I could show you the whole thing here and now, but this small snippet will have to do until it’s released this fall. Jessica has done so much great work she could have simply published a monograph. Instead, she shows you how to do great work too. That says everything about who Jessica is — and what kind of book this is. Is there any greater thrill than a peek behind the curtain to see how a great magician’s tricks are really done? 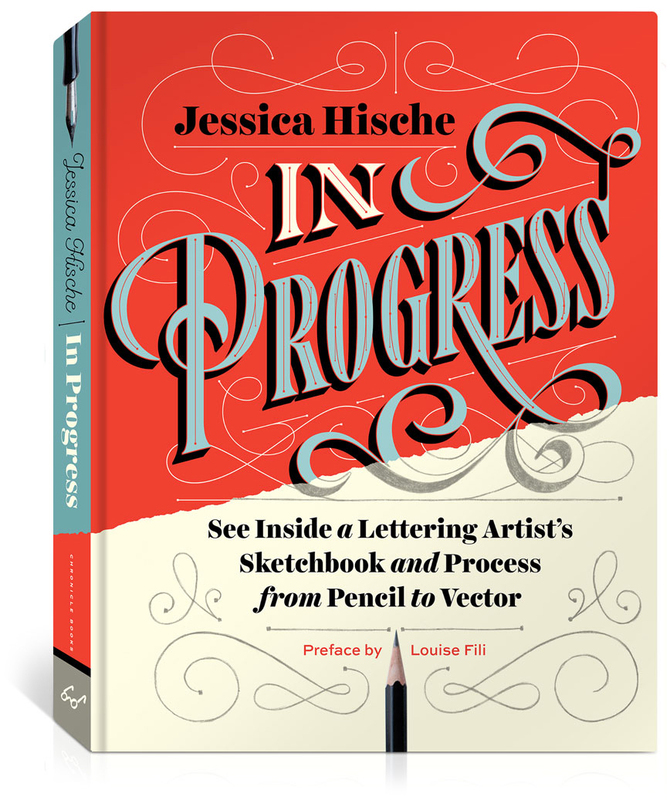 Jessica Hische provides that peek, and anyone who cares about drawing, lettering, or—dare I say—the power of the written word will be absolutely enthralled with what she reveals. Jessica took the world by storm and her first book, In Progress, shows you how and why. Whether it is her whimsical and witty personal projects, her riveting magazine and book covers, her entertaining editorial work, her magical movie titles, or even her first draft pencil sketches, In Progress brilliantly reveals exactly what it takes to make meaningful work that moves people and that matters. 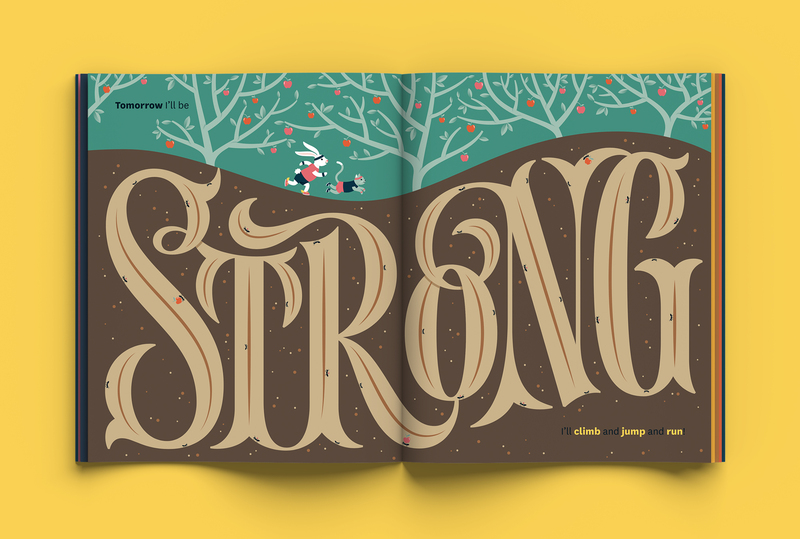 Unlike most focused type and lettering books, Jessica covers a very broad range of topics in very approachable terms. From formal models of letter construction and serif structure all the way through software suggestions, vector drafting, and decorative shading. It functions as a perfect gateway drug to the world of lettering and type, building a solid foundation by addressing the biggest real-world issues. Plus, it’s just damn nice to look at. All work © Jessica Hische unless otherwise noted.